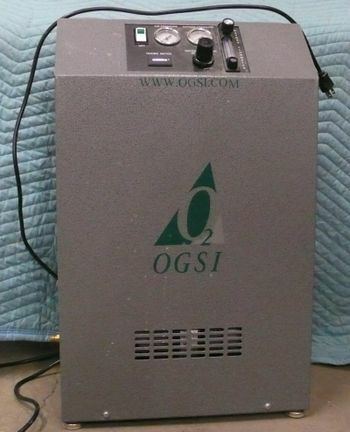 Removes mostly nitrogen from normal air, leaving 93% pure oxygen. Less than 500 hours on unit when arrived. Would be much more useful if could be used to refill oxygen bottle from the large oxy/ace torches. A second compressor is needed. This page was last modified on 24 November 2016, at 17:49.